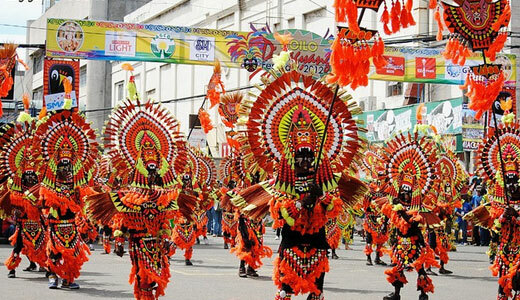 Since its first celebration in 1969, the Iloilo Dinagyang Festival has become one of the Philippines’ major tourist attractions, anticipated and celebrated from mid-December until the actual Festival in January. The Dinagyang Festival is Iloilo’s version of the Ati-Atihan Festival celebrated in other parts of the country but with a touch of the Ilonggo’s ingenuity, craftsmanship and artistry. 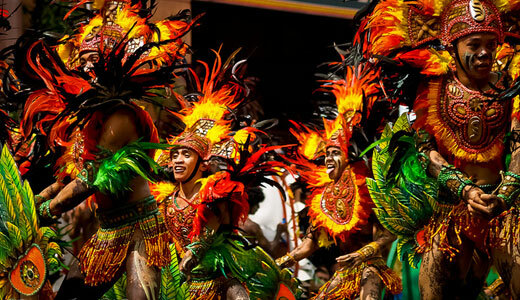 Started out as a minor event, the Festival has became a major celebration with more color, activities and festivities throughout the province in honor of the Sto. Nino. Signifying the opening of the Dinagyang Festival, the Pamukaw is an annual event held in the streets of Iloilo in the middle of December. The tribes participating in the Annual Festival dances to loud drumbeats waking up the Ilonggos to the Dinagyang Festival spirit. A week or so before the actual Dinagyang Festival, an Opening Salvo is held in the streets of Iloilo with the participating tribes. Each tribe performs a part of their performance, taking the Festival spirit soaring higher. Considered to be the search for the Festival Ambassadress, the Ms. Iloilo Dinagyang 2013 is an annual pageant for Ilongga ladies who have the talent, beauty and the grace to be an inspiration among young women. 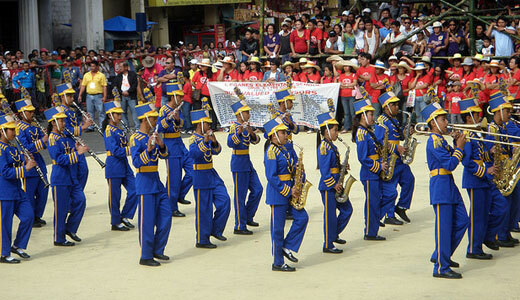 Tambor Trumpa Martsa Musika is a Drum and Bugle Corp competition participated by elementary and secondary schools in the city and the province. A Fluvial and Foot Procession is offered to the Sto. Nino during the commencement of the 9-day novena. The image of Sto. 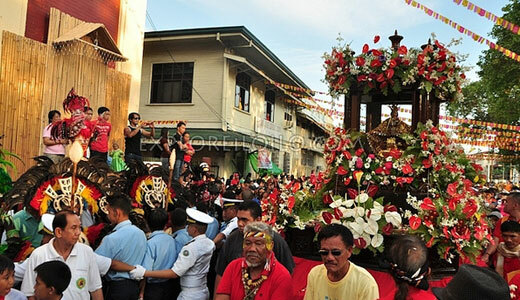 Nino is placed in a decorative banca during the fluvial procession. The fluvial procession starts from the mouth of the Iloilo River at Fort San Pedro winding all the way to Aduana House. 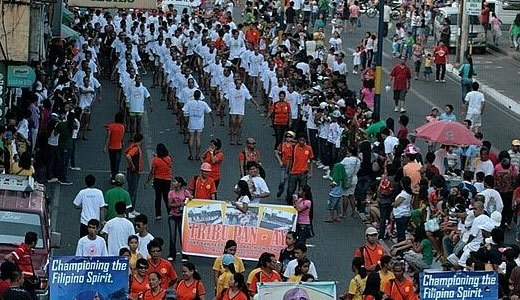 A foot procession then follows at the major thoroughfares of the city back to the San Jose Parish at the Plaza Libertad. Also known as the Mardi Gras, the Kasadyahan Regional Cultural Competition showcases the best festivals of the Western Visayas. 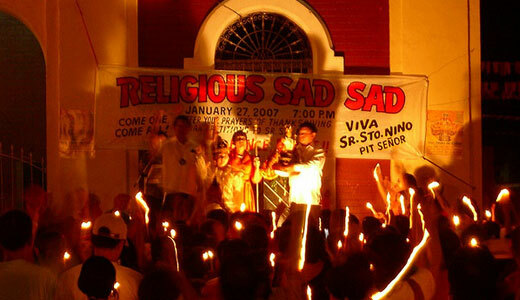 The Religious Sadsad is the version of the San Jose Parish of the merrymaking. Dancing on a tune, the devotees make their petitions before Sto. Nino. 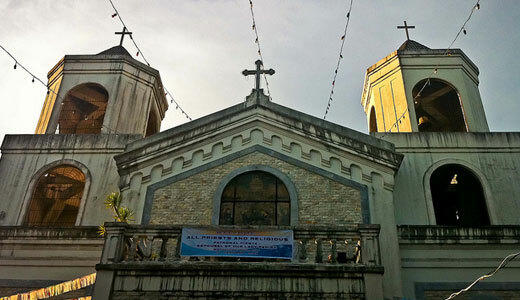 The San Jose Parish Placer keeps testimonies of petitions that have been granted by Sto. Nino. 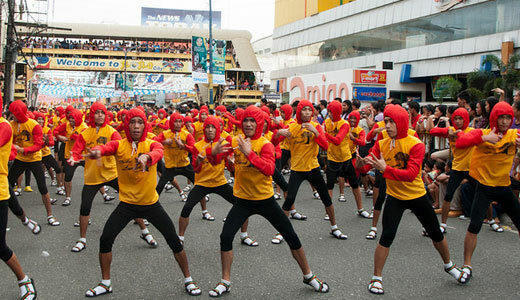 Gathering dancers dressed-up as warriors dancing to the beat of the drums, the Iloilo Dinagyang Ati Contest features the Ilonggo culture and history together with their devotion to Senyor Santo Nino. 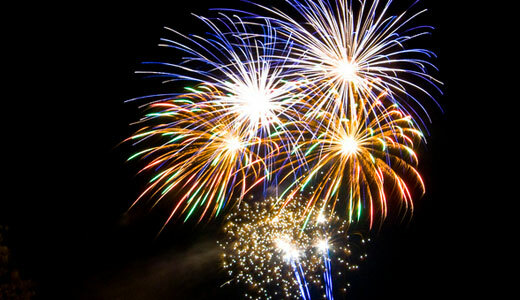 After all the event, exhibitions, festivals and contests, the Awarding Ceremony officially closes the event with prizes to the winners with, of course, the Grand Fireworks Display. An event or celebration is not the same without a Thanksgiving Mass. Held at the San Jose Church, devotees all over the the country give praise to Senyor Santo Nino with faith and love in their hearts. Watch out for more of the finest festivals around the globe right here! it’s fun to celebrate in a festival like dinagyang festival…they really celebrated the occasion with a different activities especially the thanks giving mass!! 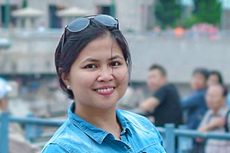 Ohh it’s really fun in the Philippines,I wanna visit your place. I want to try that kind of festival,Would mind to invite me next time? I really miss celebrating Dinagyang since I’ve worked here in Cebu..wish I could make it next year tho..
it’s nice celebrating dinagyang festival. 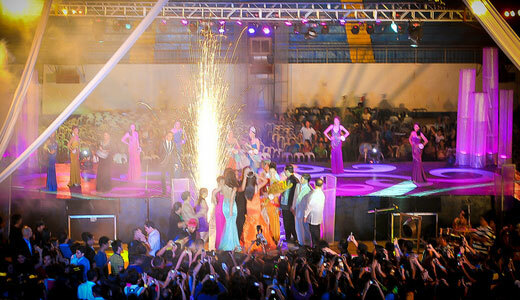 it looks like a sinulog.